The Keruak corridor is well established and working for wildlife, reports World Land Trust (WLT) partner Hutan. 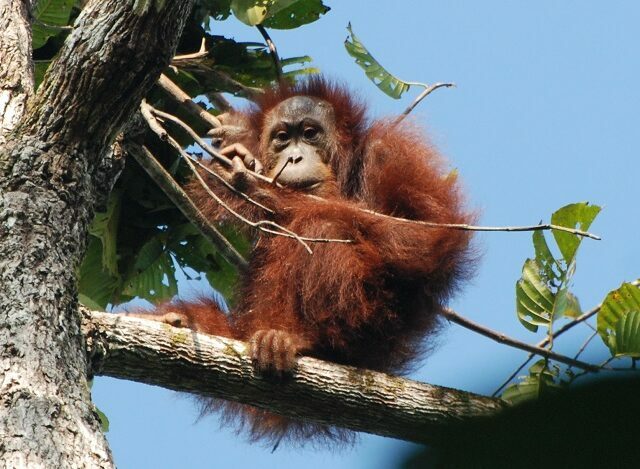 The Keruak corridor was prioritised for protection in 2013, as Hutan recognised its important function as a path of connecting habitat between the Lower Kinabatangan Wildlife Sanctuary and the Keruak Virgin Jungle Reserve, and WLT's Borneo Rainforest Appeal in 2013 successfully raised £1 million to secure the land purchase. 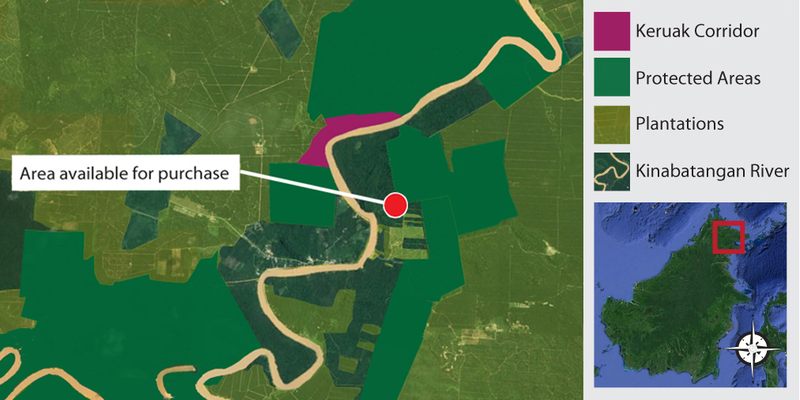 Hutan’s Orang-utan Research Unit have been studying the ecology and behaviour of the sub-population of Bornean Orang-utans living in ‘Lot 2’, the section of the Lower Kinabatangan Wildlife Sanctuary (LKWS) that neighbours the Keruak corridor, for the past 20 years. They have observed that the main issue in this fragmented habitat is how difficult it is for young male orang-utans to disperse to areas away from their female relatives where they may meet unrelated females. 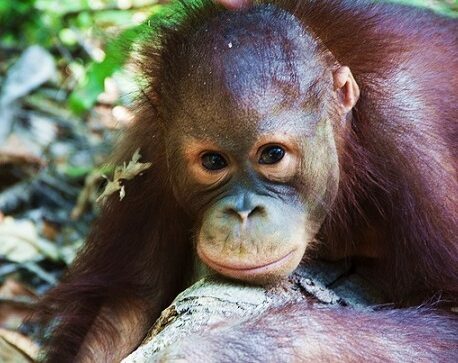 Last year, the unit was following a young male orang-utan they had nicknamed Toby who lived in Lot 2. Sightings of Toby (who was easily recognised by a mole on his forehead) were quite regular until he disappeared last May and was not seen in the LKWS again. However, thanks to the protection of the Keruak corridor, this was not the end of the story. “We were amazed to see him again recently, nesting in the Keruak VJR, on the other side of the Keruak Corridor. It seems that he has now successfully dispersed,” says Isabelle. World Land Trust is currently working with Hutan to protect another piece of rainforest, across the river from the Keruak corridor, which could be the start of a new corridor from the Pangi Virgin Jungle Reserve down to the riverbank. 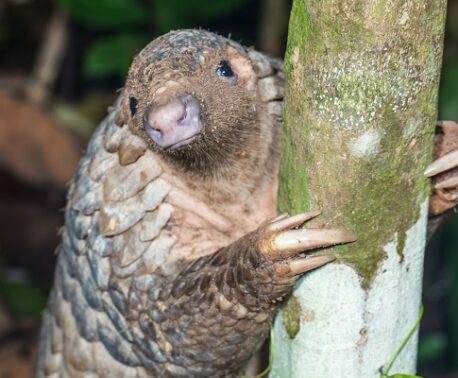 Thanks to the generous supporters of Steve and Helen Backshall’s ‘Race for Borneo’ fundraising towards the Saving Kinabatangan appeal, we have raised more than half of the funds needed to purchase these properties, but still have just over £58,000 to go before this land can be placed under permanent protection.